Fig. 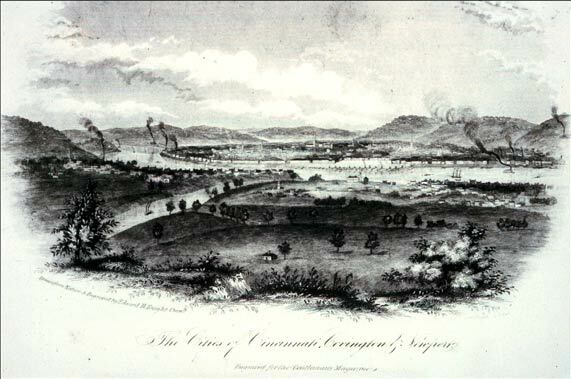 2.46 The Cities of Cincinnati, Covington & Newport. / Engraved for the Gentleman's Magazine. Edward Henry Knight. Engraving. 4&5/16 x 6&13/16 in (10.95 x 17.30 cm). The Gentleman's Magazine (Cincinnati) 1, no. 2 (July 1848), frontispiece. Cincinnati Historical Society Library.